This year alone, over 110+ anti-LGBTQ bills have been introduced in state legislatures across the country. If passed, these laws will legalize discrimination against lesbian, gay, bisexual, transgender and queer (LGBTQ) people. We can't let hate win! 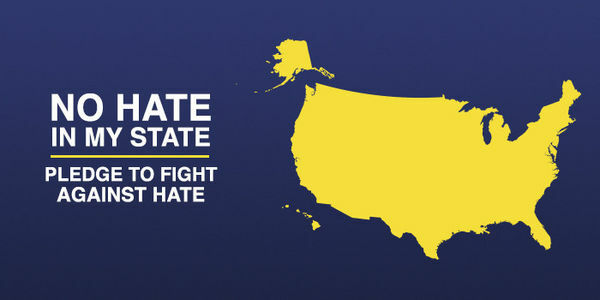 Take a stand against hate in your state and nationwide by pledging to defend LGBTQ equality. I pledge to fight for lesbian, gay, bisexual, transgender and queer (LGBTQ) equality in my state and across the country. No one deserves to be discriminated against — and I will stand up against hateful and discriminatory legislation. When rights are at risk, I will advocate for full equality for all by signing petitions, contacting my elected officials, and sharing my beliefs with others. I will stand up against hate — because no person deserves to be treated like a second-class citizen.